Severe forest fires have begun to feel a bit like a regular occurrence. In the same way one expects Halloween in October or snow in December, people have now come to expect forest fires in July. Readers in the United States and residing on the west coast know all too well about the hazy smoke-filled summers that we are starting to become accustomed to. Beyond the lack of visibility and insufferable smell that comes with our forests burning, there are a number of health consequences from being exposed to and inhaling the smoke polluted air. Despite the world being on fire – literally – that is still no reason for your skin to suffer. During the burning of biomass (organic matter; aka trees), a marked number of different pollutants, such as carbon monoxide, nitrogen oxide, particulate matter, and hydrocarbons are released. Particulate matter (PM), also known as particle pollution, is defined by the EPA (United States Environmental Protection Agency) as the term for a mixture of solid particles and liquid droplets found in the air. The size, shape, and composition of these particles can vary drastically – but generally speaking, PM particles produced from forest fires are smaller than 10 micrometers and tend to be rich in black carbon, organic carbon, and brown carbon contents. It is reported that particulate matter is able to penetrate into the deeper layers of your skin through a transfollicular route – phrased differently: the pollutants found in forest fire smoke are able to enter the deep layers of your skin by passing through hair follicles down to the root. Once absorbed by the skin, particulate matter produced from forest fires can inflict their damage by creating oxidative stress via free radical production. These very unstable molecules can cause damage to the skin and lead to wrinkles and pigment spots. [6,7] Particulate matter may aggravate inflammatory skin conditions such as psoriasis, atopic dermatitis, and acne as well. Finally, particulate matter may increase the risk for skin cancer. Forest fires release a considerable amount of smoke that can create more haze in the air. Don’t let this haze fool you. While it is true that smoke from forest fires have a whitish look and may reflect sunlight, it is more likely scattering it all around. What this means is that you will get a double dose of damage to your skin from both the harmful UV rays as well as the harmful particulate matter from the smoke. What this all amounts to is that smoke screen is not an effective sunscreen as smoke is estimated to only have an SPF of about 2. Because of all the reasons mentioned here, it is important that everyone takes steps to preserve the health of their skin. Currently, there are no medically accepted guidelines for protecting your skin against smoke released from forest fires. This is partially due to the limited amount of studies done regarding the matter. Regardless, measures can be taken to help protect your skin against the pollutants found in wildfire smoke. Strategies for protection should involve replenishing antioxidants to fight against the oxidative stress caused by particulate matter, regularly washing your skin to remove pollutants, and trying to limit overall exposure to the smoke. Both nutritional and topical antioxidants confer a number of different health benefits to help one’s skin to fight against the oxidative damage done by pollution exposure. 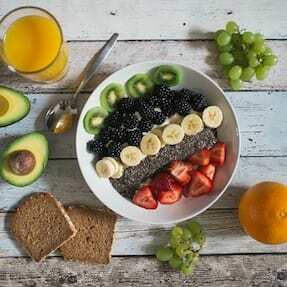 For example, nutritional antioxidants such as Vitamin C, Vitamin E, and N-acetylcysteine are thought to act as systemic free radical scavengers, directly neutralizing free radicals formed by pollutants from within the body, reducing overall free radical concentration, and repairing oxidized membranes. [8,9] Topical antioxidants are powerful against free radicals formed within the skin, effectively reducing the free radical concentration found in the tissue and reducing the overall rate of collagen degradation in the skin. Application of topical antioxidants such as alpha-tocopherol (vitamin E) and L-ascorbic acid (Vitamin C) has been suggested to provide protection against environmental pollution. Being proactive and regularly using facial and body washes on exposed areas can aid in stripping off some of the pollutants residing on your skin. 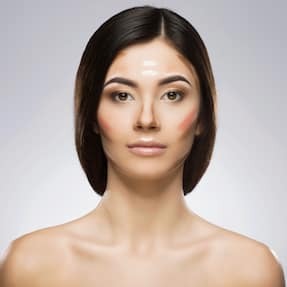 Because over usage of face washes can lead to skin drying, it is important to incorporate proper skin hydration, such as the use of facial masks and moisturizers. Depending on your skin type, facial oils or oil-based cleansers may be better if you have drier skin. 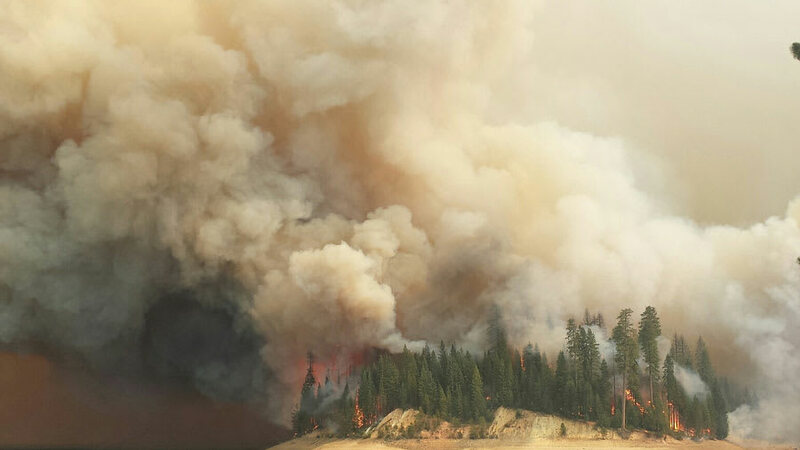 Reducing the overall amount of particulate matter inhaled is another effective strategy in reducing the respiratory effects of the increased air pollution during forest fires. Studies have indicated that use of a cloth or surgical face mask is an effective means to reduce personal exposure to air pollution. Just using a face mask alone is not enough though. To gain adequate protection from the negative effects of air pollution, one must take other active measures such as reducing time spent outside during wildfires in order to maximize protection from particulate matter. A recent study examining the use of Dead Sea minerals and anionic polysaccharide as a form of antipollution protection for skin shows promise. The results suggest that combined application and use of Dead Sea minerals and anionic polysaccharide prove as an effective means to protect against inflammation in the skin caused by pollution exposure. Specifically, the combination of 0.8% Deep Sea minerals + 5% anionic polysaccharide demonstrated to be the most effective against various types of pollution and inhibited the most amount of inflammatory markers. New technologies have allowed for the advent of cotton fabrics to be functionalized with a molecule called cyclodextrin. By treating cotton fabrics with cyclodextrin, specifically a β-Cyclodextrin Polymer, cotton fabrics become readily available to sequester 10 times more organic micropollutants than untreated cotton. Ultimately, the best thing you can do is avoid exposure to the smoke air filled to the best of your abilities. Staying indoors, avoiding outdoor activates, and using an air purifier in your home will go a long way in keeping you and your skin healthy. We wear our skin every day, it’s imperative that we take care of it. Is Your Skin More Sensitive to Smoke? 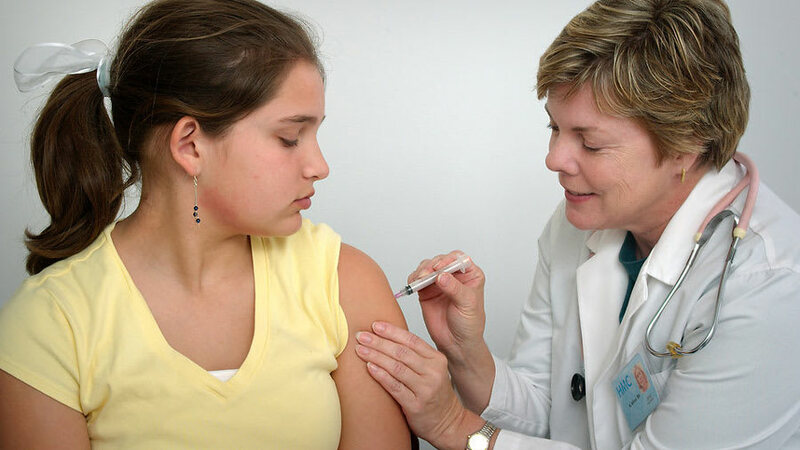 Which HPV Warts Cause Cancer and How Can You Tell? Reid CE, Brauer M, Johnston FH, et al. Critical Review of Health Impacts of Wildfire Smoke Exposure. Environ Health Perspect. 2016; 124(9):1334-1343; PMID: 27082891 Link to research. Liu JC, Mickley LJ, Sulprizio MP, et al. Particulate Air Pollution from Wildfires in the Western US under Climate Change. Clim Change. 2016; 138(3):655-666; PMID: 28642628 Link to research. Youssouf H, Liousse C, Roblou L, et al. Non-accidental health impacts of wildfire smoke. Int J Environ Res Public Health. 2014; 11(11):11772-11804; PMID: 25405597 Link to research. Us Epa O. Particulate Matter (PM) Basics. US EPA. 2016. Kim KE, Cho D, Park HJ. Air pollution and skin diseases: Adverse effects of airborne particulate matter on various skin diseases. Life Sci. 2016; 152:126-134; PMID: 27018067 Link to research. Puri P, Nandar SK, Kathuria S, et al. Effects of air pollution on the skin: A review. Indian J Dermatol Venereol Leprol. 2017; 83(4):415-423; PMID: 28195077 Link to research. Zegarska B, Pietkun K, Zegarski W, et al. 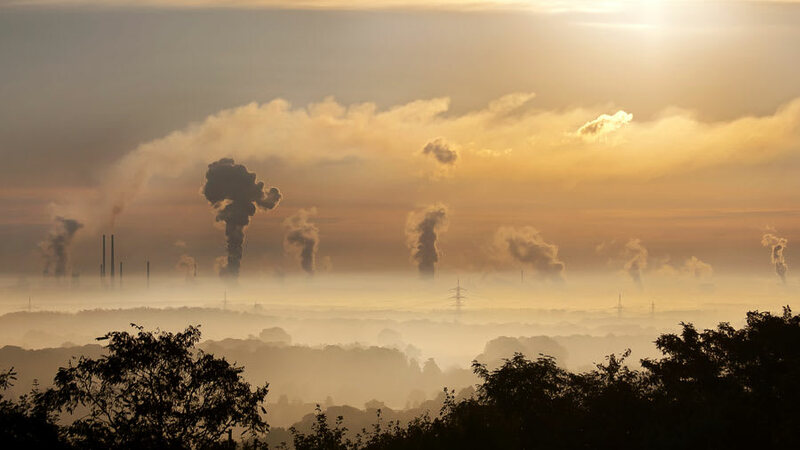 Air pollution, UV irradiation and skin carcinogenesis: what we know, where we stand and what is likely to happen in the future? Postepy Dermatol Alergol. 2017; 34(1):6-14; PMID: 28261026 Link to research. Ganceviciene R, Liakou AI, Theodoridis A, et al. Skin anti-aging strategies. Dermatoendocrinol. 2012; 4(3):308-319; PMID: 23467476 Link to research. Romieu I, Castro-Giner F, Kunzli N, et al. Air pollution, oxidative stress and dietary supplementation: a review. European respiratory journal. 2008; 31(1):179-197; PMID: 18166596. Link to research. Burke KE. Mechanisms of aging and development-A new understanding of environmental damage to the skin and prevention with topical antioxidants. Mechanisms of ageing and development. 2018; 172:123-130; PMID: 29287765 Link to research. Portugal-Cohen M, Oron M, Cohen D, et al. Antipollution skin protection - a new paradigm and its demonstration on two active compounds. Clinical, cosmetic and investigational dermatology. 2017; 10:185-193; PMID: 28553131 Link to research. Alzate-Sánchez DM, Smith BJ, Alsbaiee A, et al. Cotton Fabric Functionalized with a β-Cyclodextrin Polymer Captures Organic Pollutants from Contaminated Air and Water. Chemistry of Materials. 2016; 28(22):8340-8346. Link to research. Sharma N, Baldi A. Exploring versatile applications of cyclodextrins: an overview. Drug delivery. 2014; 23(3):739-757; PMID: 25051096. Link to research.